Potential for Wholesale Trade: 5.0 out of 5.0 stars. Call of Duty franchise is probably the most demanded and expected title of the year along with probably one or two other titles. Exceptionally good opportunities for selling large quantities. Even the small buyers become considerably larger when buying this and a couple of other titles in Autumn. Mid-November release is very good timing for appearing on pre-Christmas retail shelves. Make sure you can offer a good price, and get pre-orders in good time. This item can be pre-ordered from many distributors. Please contact us for getting more information regarding the prices and contacts of distributors for ordering wholesale quantities in your country. 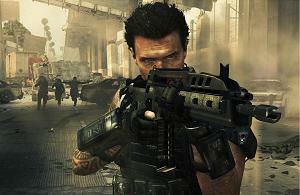 Call of Duty: Black Ops II pushes boundaries and sets new heights in for the record setting Call of Duty franchise. 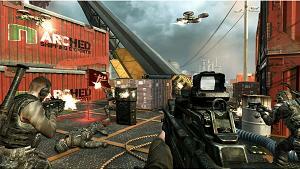 In Black Ops II players are dropped into a near future setting, fighting in a 21st Century version Cold War. Weapons and technology have changed, enhanced, for a new type of warfare. 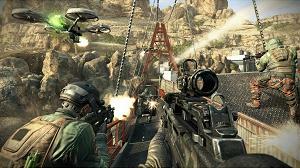 Incredibly graphics are combines with sensational gameplay with the entire map as a battlefield. Nothing in certain in this land where your perfect cover can be blown to bits without warning. Continue your journey as Frank Woods, the protagonist of Call of Duty: Black Ops, as he battles foes. But Frank Woods isn't the only character you'll get to play as. Flashbacks from past missions allow for play as a variety of members from the Mason family as well. A non linear story line makes for high replay value. Each decision comes with consequences, changing world events for better or worse and making each play through totally unique. Pit off against the mysterious villain Raul Menendez and plunge into the exciting world of Call of Duty: Black Ops II. 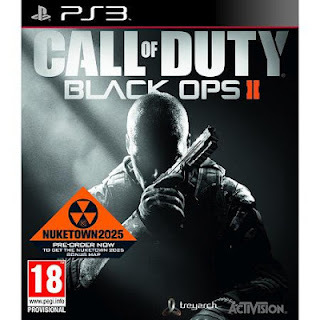 New weapons, the ability to use multiple vehicles and different modes of play including Campaign, Muiltiplayer and Zombie set Call of Duty: Black Ops II to be the best game of the franchise. Branch out from Campaign mode and try the all new Multiplayer mode. Multiplayer allows for game play with friends and includes new maps, new perks and new styles of game play. Also try out Zombie mode. More challenging maps and multiple missions pit you off against the undead in more ways than ever.